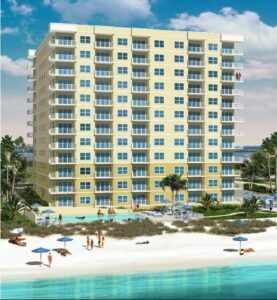 The Aruba Condominiums is an upscale condo community. The well laid-out, efficient 3 & 4 bedroom floor plans include an abundance of upgraded features as standard: granite counter tops, solid wood cabinetry, stainless steel appliances, owner storage units on unit floor, one assigned underground parking space per unit plus guest parking, and much more! The Aruba Units will be built to withstand hurricane winds, surrounded by concrete and high-impact glass – substantially blocking out exterior sound. All the advancements in building materials, that were not available until recently, will be incorporated in the construction of the Aruba. The Aruba allows weekly rentals, because that feature seems to make it easier for owners to earn money on their investment and to sell their unit for more money when it’s time for them to move on. Owners are not required to rent their units, but if they decide to, The Aruba has built-in features making renting easier and more profitable. 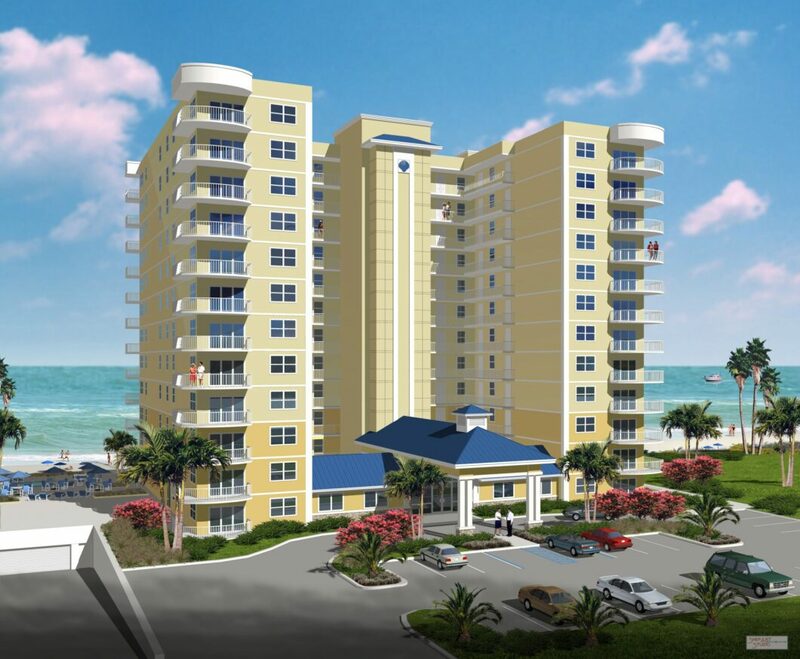 At The Aruba, there will be rules of course, but they are not restrictive (up to 2 pets are allowed) and the HOA fees run from $383 to $500/month. With all the amenities that this complex offers, this community will be a safe and enjoyable place to live. See the attached Flyer (with Current Price List), The Aruba Condominiums Brochure (with Reservation Form) and the Site Plan. General: The Aruba allows weekly rentals, because that feature seems to make it easier for owners to earn money on their investment and to sell their unit for more money when it’s time for them to move on. Owners are not required to rent their units, but if they decide to, The Aruba has built-in features making renting easier and more profitable. Inclusions: The well laid-out, efficient 3 & 4 bedroom floor plans include an abundance of upgraded features as standard: granite counter tops, solid wood cabinetry, stainless steel appliances, owner storage units on unit floor, one assigned underground parking space per unit plus guest parking, and much more! 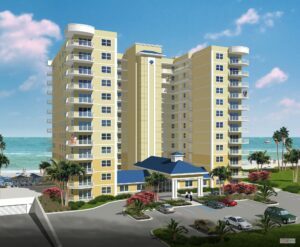 The Aruba Units will be built to withstand hurricane winds, surrounded by concrete and high-impact glass – substantially blocking out exterior sound. All the advancements in building materials, that were not available until recently, will be incorporated in the construction of the Aruba. Previous ListingThe Home of Your Dreams and the Deal of a Lifetime!Next ListingOH NO! NEW Owner Unable to Utilize Building!! His LOSS is your GAIN!! !